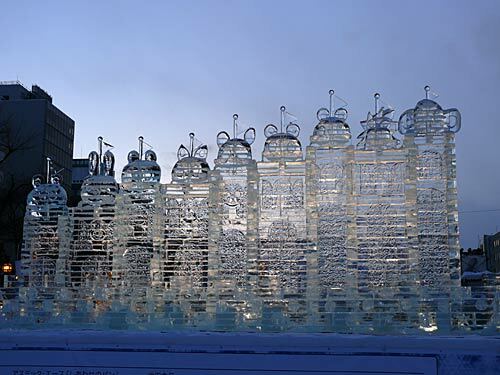 Sapporo Snow & Ice Festival in Hokkaido. 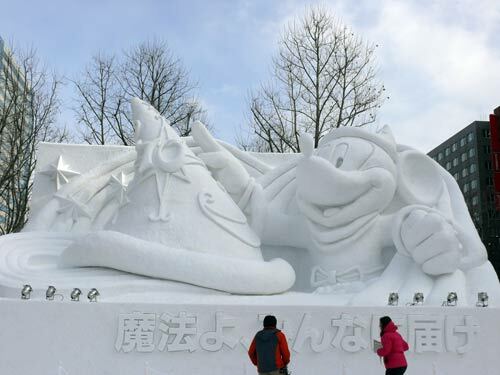 The Sapporo Snow Festival, one of Japan’s largest winter events, attracts a growing number of visitors from Japan and abroad every year. 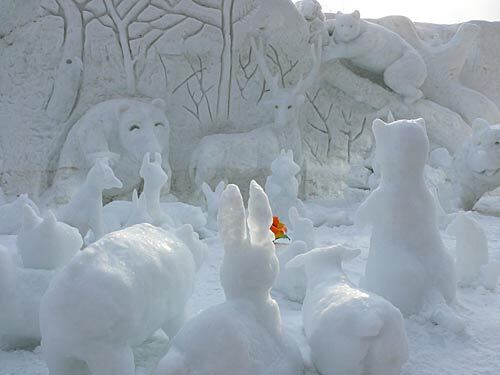 Every winter, about two million people come to Sapporo to see the hundreds of beautiful snow statues and ice sculptures which line Odori Park,the grounds at Community Dome Tsudome, and the main street in Susukino. 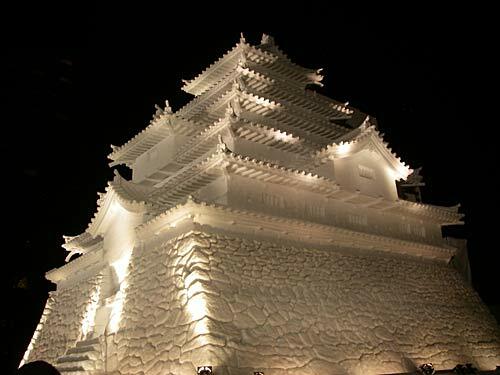 For seven days in February,these statues and sculptures(both large and small) turn Sapporo into a winter dreamland of crystal-like ice and white snow. 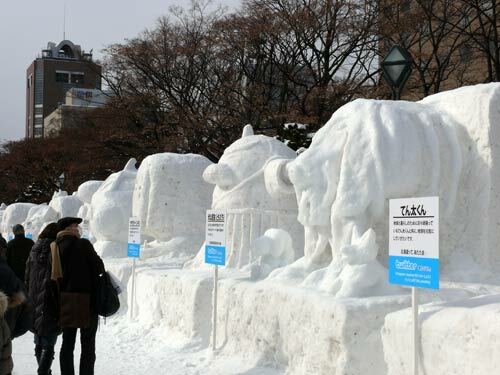 Find more information on the Sapporo Snow & Ice Festival.